I remember making handmade Valentine’s Day cards years ago, but it’s not something I’ve done in recent years. Cards are always a special part of any occasion for our family. I enjoy pouring over the greeting cards sections in stores searching for just the right one. 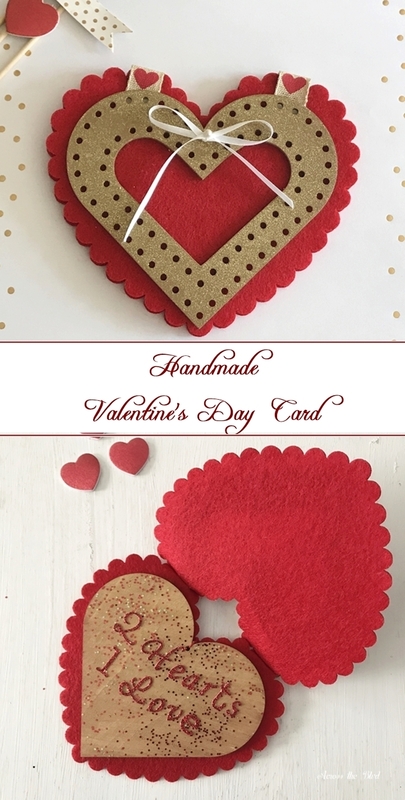 But, creating a handmade card is a fun way to make the card unique. 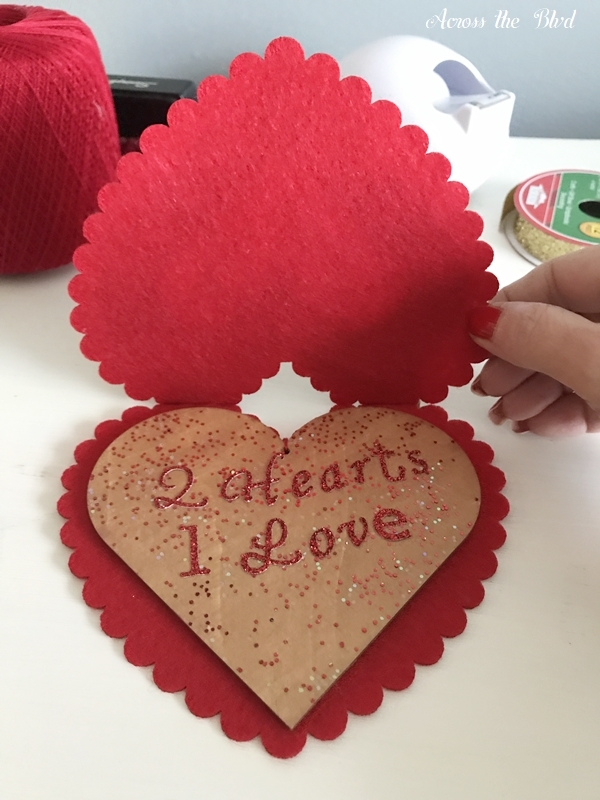 I sorted through my Valentine’s Day crafting items and found some pretty felt hearts along with some wood craft hearts. Those hearts sparked an idea for my Handmade Valentine’s Day Heart Card. 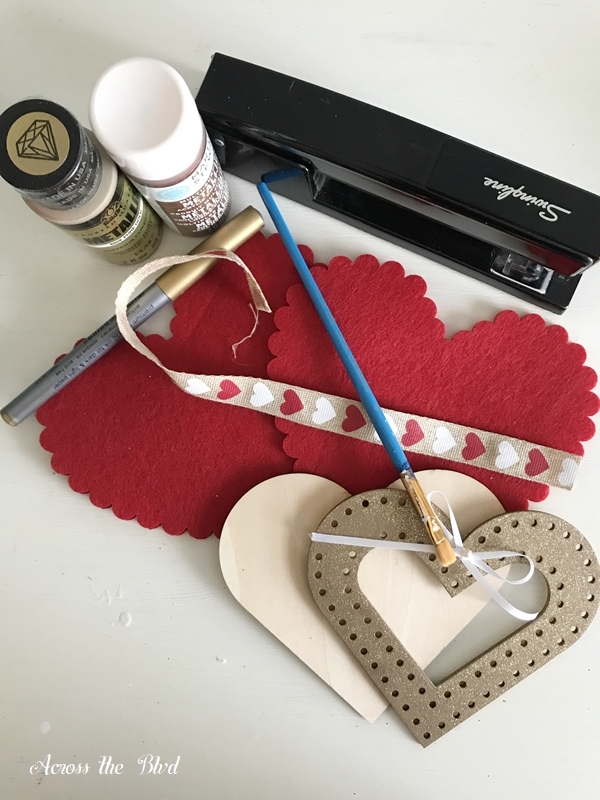 Once I decided to use the felt and wood hearts, I gathered up other items I would need for the card. Once I had the supplies on hand, I had to decide on the best way to attach all of the pieces. 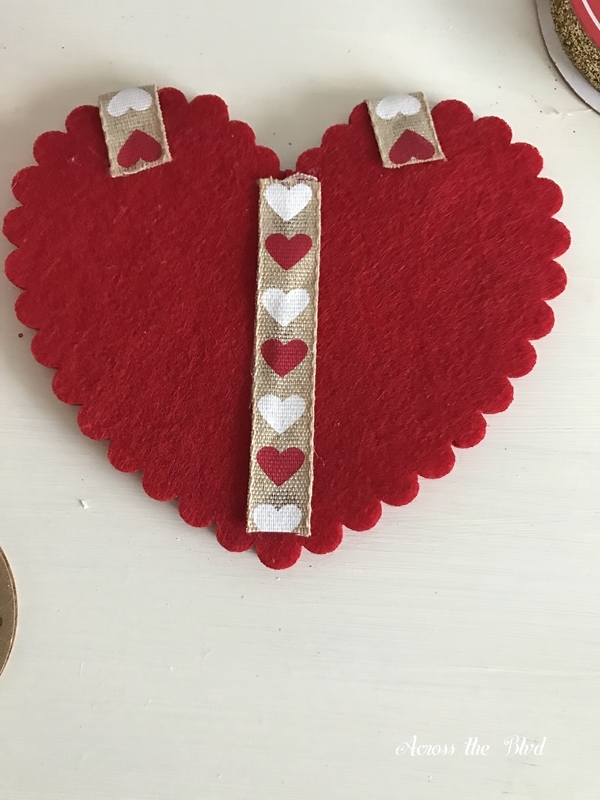 To join the two felt hearts together, I stapled them near the top. To cover the staples, small pieces of ribbon were hot glued over the staples. I added an additional strip of the same ribbon down the back of the card just to give it a decorative look. 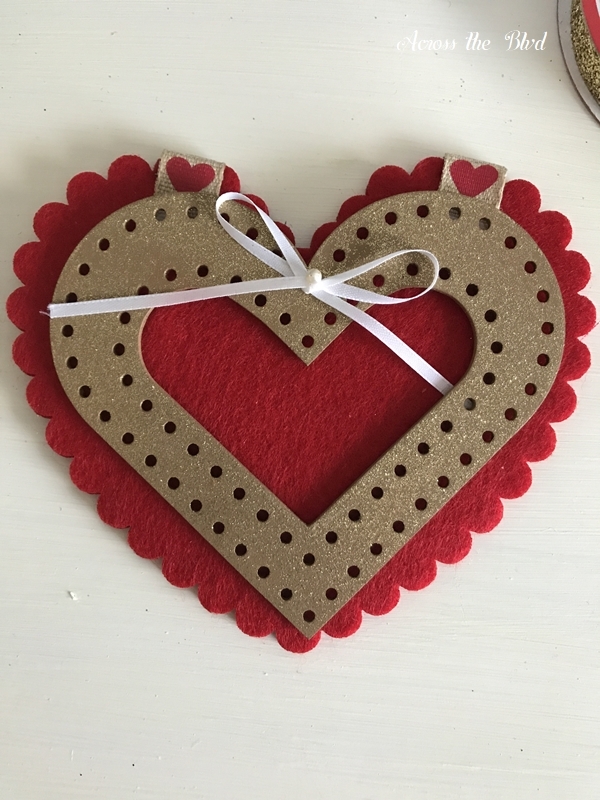 The wood heart with a cutout was one that I used on a Valentine’s Day Wreath a couple of years ago. That wreath has since been deconstructed and given different looks and items used on it were put back into my craft stash. 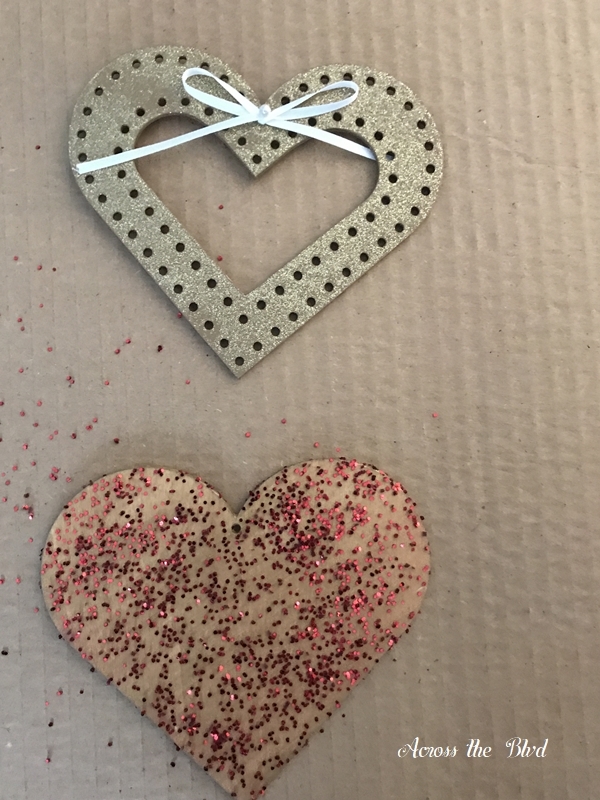 The wood heart had been painted with gold glitter spray paint and a small white ribbon added when I used it on the wreath. It didn’t need to be redone for the card. 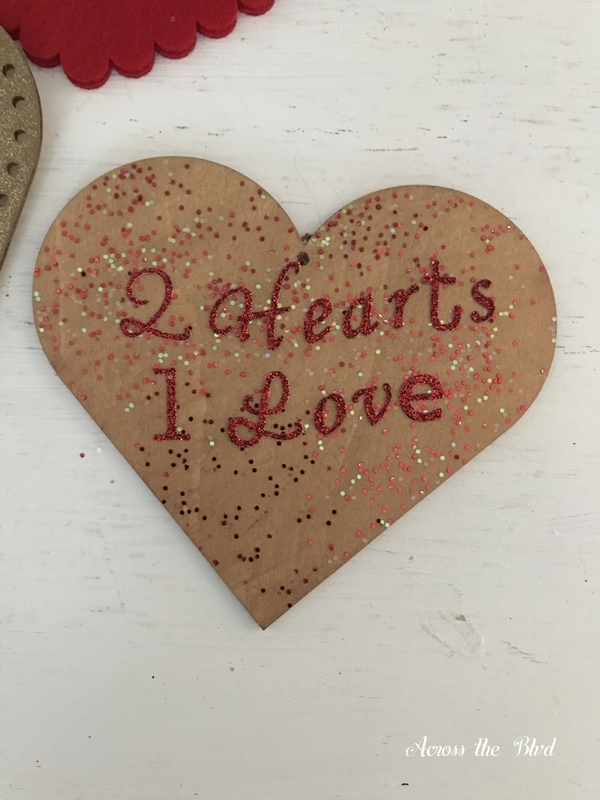 I painted the second wood heart with gold craft paint and added some glittery sprinkles to it. The wood heart is hot glued to the bottom heart. 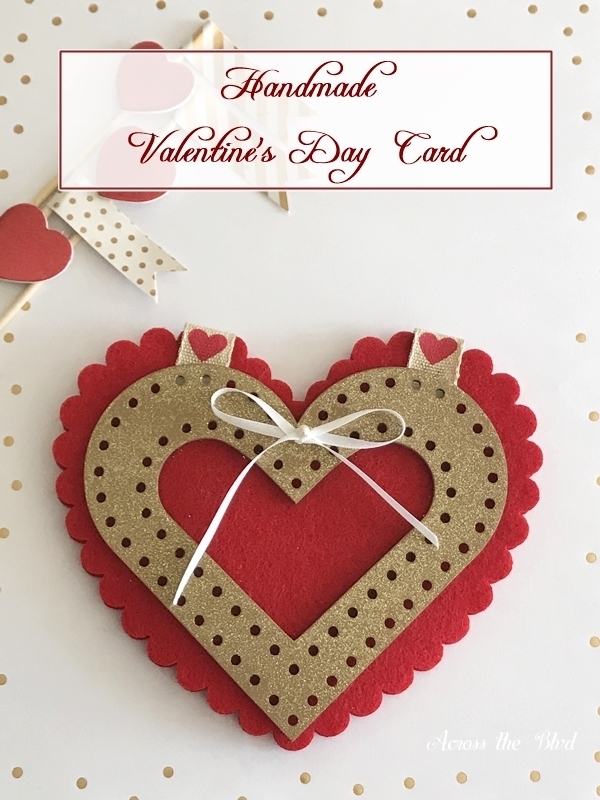 The cutout heart is hot glued to the front of the card. 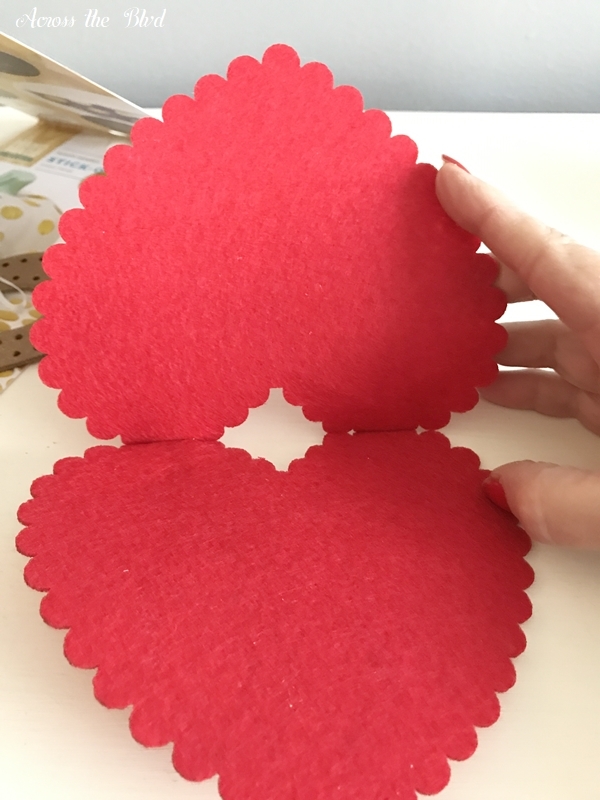 This is such an easy to make Handmade Valentine’s Day Heart Card and it doesn’t take long at all to put together. Using items in my craft stash is always a bonus. 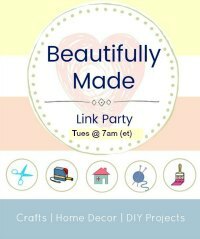 We’re sharing this as part of a Handmade Card Link Party that we are co-hosting with a group of our blogging friends. The party will open on January 31st, just in time for Valentine’s Day, but any handmade cards are welcomed to be linked up. Stop by the party and share your handmade cards with us starting on January 31 and going through February 10. Thank you, Carol! It was a fun card to put together. Cute Card beverly! valentine’s is a great holiday to express love and creativity! Thanks, Victoria! I agree, Valentine’s Day is a fun holiday for creativity. You made such a pretty and creative card. Thanks for sharing at Cooking and Crafting with j&J!! Thanks, Julie and thanks for the party! What a pretty card. I love the saying on it. Your honey is going to be so happy to receive it. Thanks so much, Debra! I think he will, too. Thank you, Marci. I love that quote, too. Adorable, Beverly! This looks like a card someone bought from a Lovely boutique shoppe! So pretty! I love the delicate look and sentiment! What a sweet thing to say, Gail! That just made my day! Thank you! This is a really lovely card Beverly! 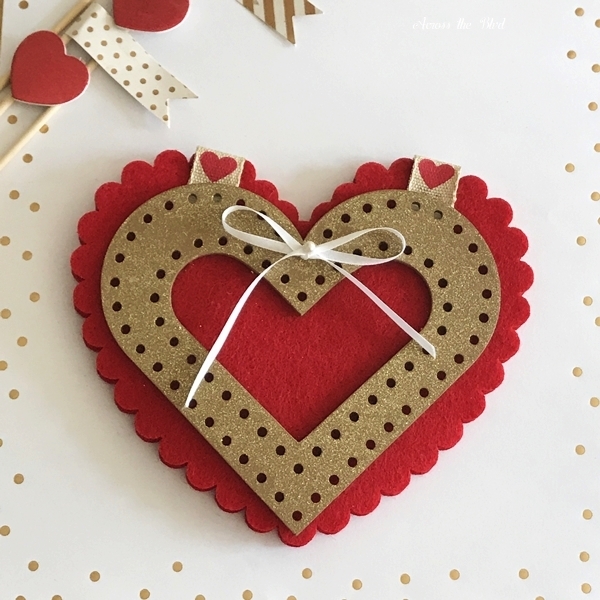 It looks like all the hearts that you gathered from your stash to create this lovely card were made to go together. I was happy when I saw that the sizes worked great together! Thank you, Laurie! 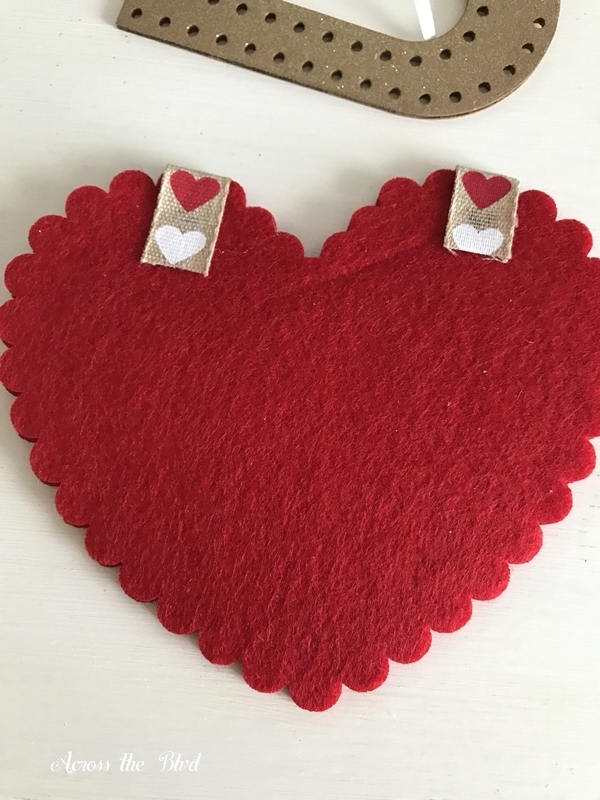 Wonderful heart cards,wish I had some great stash like yours but will use my scissors to get those little scallops around felt hearts, That I can manage and do lots of improvising. No close stores to get supplies so make do with what I have usually. your heart cards are such a great example, anybody who receives one will be lucky. 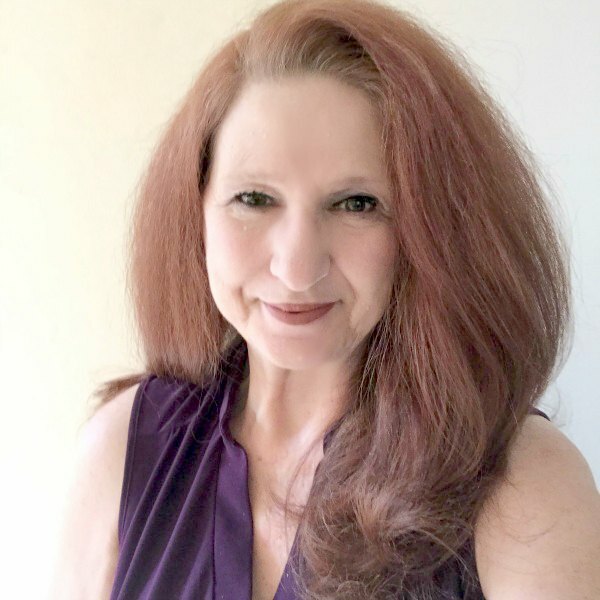 Thank you, Jane Ellen. I like to buy lots of seasonal items just after a holiday is over when craft stores put the items on sale and put them in my craft stash for the next year. Often, the prices on line will be deeply discounted, too. But, improvising and finding ways to create your own unique items when there is no store nearby is great! These are really sweet! I love the way the brown complements the red and white – thanks for sharing with Party in Your PJs! Thank you, Lynda! It was a fun card to put together. Thanks for the party! What a cute idea. I think I have a heart that looks like that from target and I’ve never used it. This might be a neat thing to do with it. Thanks for the idea. Thanks, Erlene! It’s always a bonus to find uses for those items we’ve stashed away! Beautiful card, so classic but trendy with the felt and trim. We had felt x-mas stockings as a kid so I have a fondness for felt. Thank you, Lorin! I love using felt in lots of crafting projects. Thanks, Christina! Thanks for hosting! Hi Beverly, your card turned out very pretty and is so much more meaningful because It is made with love! 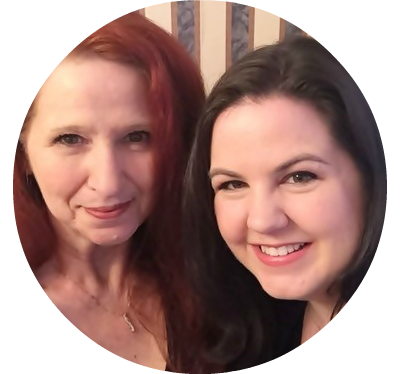 Thank you for sharing it with us on the #BloggingGrandmothersLinkParty! I’ve pinned and shared. Thanks, Teresa! It was fun putting it together. Thanks for the party and the shares!